All funds raised will be paid directly to Lee Giles for Easy Peasy All-in-One Homeschool. Show your EP pride with an EP tee! You have two weeks to order, through Easter Monday. Now's your chance. This isn't really meant to be a fundraiser more than a way to make t-shirts available without having to place a bulk order and ship them from my home. You just place the order and it will be shipped directly to you. They will arrive around April 18th. This curriculum makes it possible for me to homeschool as a single parent working full-time. Thank you so much. Lee Giles has the heart of a servant to be so willing to FREELY share her time and talents to equip and enable families to homeschool. Thank you, Lee for your generosity and commitment to serve the Lord in all you do! Your wisdom has been a blessing! Thanks so much for enabling our family to homeschool. My kiddos directly benefit from your amazing homeschool online program. Thank you for all your hard work. You really have no idea the amount of people you are blessing! Easy peasy is our curriculum of choice and we just love it! 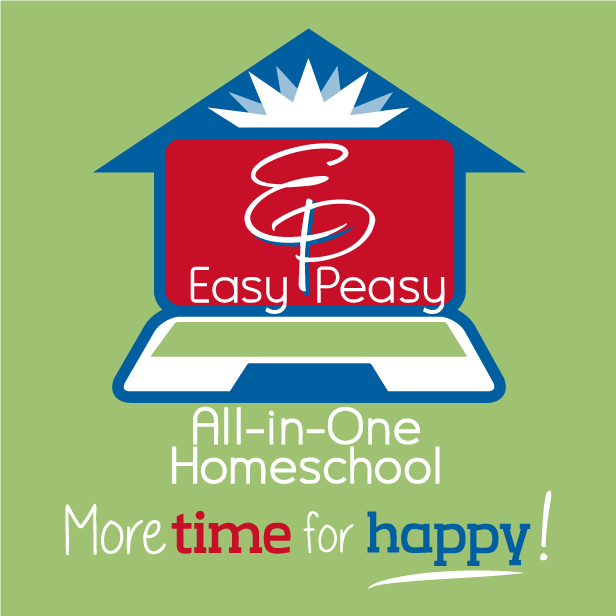 This is my first year homeschooling and I don't think I could do it without Easy Peasy! Thank you! This curriculum has been a blessing to our family. 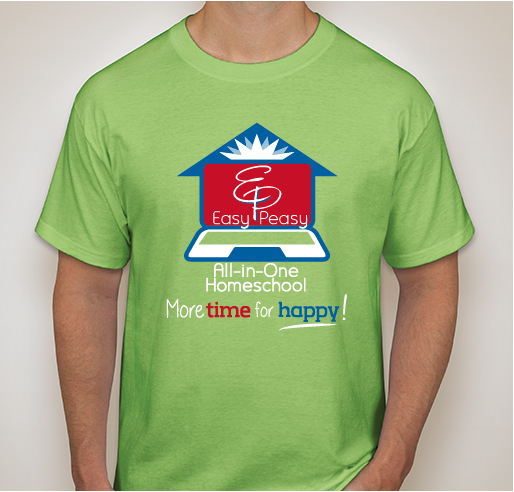 Share Why You Support "Easy Peasy All-in-One Homeschool"